The real cause of Inflation and its EffectssteemCreated with Sketch. To really discuss this topic, we need to set the definition of Inflation right. Contrary to Keynesians, the Austrian School of Economics formulates a much more accurate definition. Inflation is the increase of money supply relative to available goods and services with the effect of rising price levels. 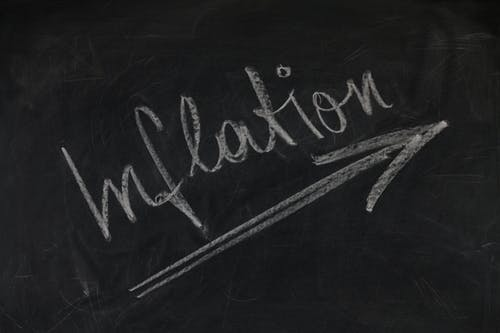 Falsely, but most commonly, Inflation is described as rise in price levels. This falsehood is seemingly spread purposely to distract from its real origin. Mainstream economists usually claim there is no correlation between inflating the money supply and rising prices. Actually, nobody has to have a deep understanding of economics to realize that if more money meets an unchanged amount of goods and services, that prices will naturally rise. Many studies have proven that an 10% increase in money supply usually leads to a 10% price level increase, with roughly a years delay. It's important to note that not all goods and services become more expensive equally, some may even become cheaper. Instead this number is extracted from the overall market conditions and has proven fairly accurate. The idea that there is no correlation between money supply and increasing price levels can probably be attributed to globalization. Chinese exports alone lead to price pressure formerly unprecedented. Another reason for this common misconception probably is that the floods of fresh money lunge at assets, rather than goods, making the acquiration of property much more expensive, whilst failing to decrease the cost of goods, even though the cost of production is sinking across the globe. On a sidenote, this has another dire effect. Rising price levels of real estate allow people to take out bigger mortgage loans. This money can be used to e.g. buy stocks, artificially propping up their prices too. Rising stock prices allow to take out bigger loans, which can in return be used to buy into hedge funds. On paper, the wealth of people participating in this scheme is increasing substantially. In reality the wealth increases on the same level debt is ammased. It's really a ponzi scheme that favors those who get out early, pay of their debt and end up owning actual assets and goods. Fact of the matter is that without increasing the money supply, price levels can not rise. Just like water levels in a bathtub can not rise without pouring in new water. What drives prices up across the board is the constant monetary inflation and expansion of the credit supply. Inflation is a deceptive procedure. The inception already starts with the installment of a fiat money system, which is forged money. 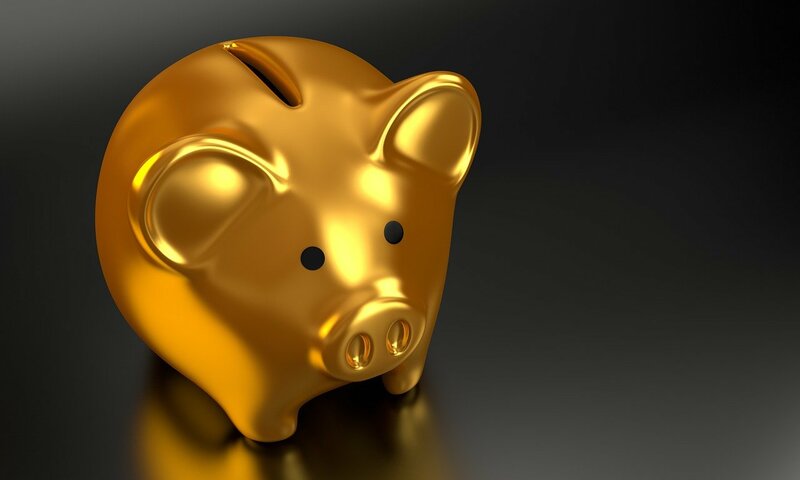 In times of silver and gold money, money forgers added less valuable metals to the coins, enriching themselves just like the political and financial class does by creating countless amounts of new fiat money. This system creates predatory net-winners and blameless net-losers. Not only does this system treat the big majority of people unfairly, it also favors those who commit this crime against humanity. The market takes time to adjust to increases in money supply, in effect, those who get hands on the fresh money first, meet widely unchanged market conditions. Only after it changes hands so many times, the market reacts to this new conditions. The first recievers of the newly created money, namely the government, get to spend it for the first time, giving them a huge advantage over those who receive this money e.g. in forms of wages. The effects on politics are just as bad as on economics. The free market is blamed for the ever increasing gap between the rich and the poor, even though the creation of money out of thin air is a direct violation of its rules. This has immense financial consequences to all of the common people, but also gives rise to popular opinion that capitalism has failed. It is a common misconception that capitalism is increasingly showing its weakspots, when in fact this system couldn't be farther from what capitalism is. Central planning and socialism become very appealing to people not seeing this through, putting the freedom of people at great risk. amirite ocasio cortez? Earn Crypto for spending Fiat! 0.5% Cashback for every In-store purchase with Wirex! Available in most countries, conveniently spend Fiat, LTC, ETH and BTC and earn cashback on every purchase! Trade BTC and Altcoins with high leverage at Bitmex. Increase your BTC holdings throughout the bearmarket by opening a short. Drinking the moonjuice? Go long and profit twice. 10% Trading fee discount when using my link. Inflation is a very important tool for the economy. For example, in times of decreasing general price levels, most of the manufacturers don't want to risk in producing their products even though the raw materials prices are lower. They won't be able to sell at a decent amount of profit. Thus, it is a good way for the government to stimulate again the market and have more businessmen/women and investors invest their resources in the market for economic growth. We can have more discussion by responding to this comment my friend. You make a valid argument, the political class has options to intervene in the market that might have positive short term effects, like in your example. It's taxpayers money that is used to protect business. Usually only the "too big to fail" businesses recieve this aid. It can not save an unprofitable business to maintain/regain profitability, only marketforces can. Nothing really changes but changing the numbers you reward labor with. A laborer now earns $20 instead of $10, but a loaf of bread now costs $2 instead of $1 because of imposed inlfation. The real losers are the people a) not running the business b) not working for the business. Rampant inflation leads to malinvestments on a much bigger scale. Businesses have a much harder time measuring market sentiment, when inflation is a variable. The problem at it's core is that you can not just change one parameter and expect the rest to not change too. It might solve an issue in the here and now, but usually attracts a rat tail that needs a lot of economic foresight to quantify. Yes, most of the government's reason is just to stimulate the market for recovery. But it can also prevent further worse market conditions like depression as a result of extended inflation. I also agree with your four points above, I only hope that our governments will take more attention to SMEs since they provide at least 80% of the jobs around the world to help them and the employees flourish. Very well written. The metaphor with the bathtub was fantastic. Our project, CBNT, is also a decentralized blog platform. We are launching in the next few weeks and would be honored to have you post your content there. It will also be a way for you to mine extra tokens and reach a wider audience. Cheers, CBNT.io! Good work. It is a shame how little people know about our monetary system. The banks have been slowing destroying the economy without anyone noticing. In addition, they are in bed with Congress. The people's ignorance towards this matter will send them crying back to politicians; the ones who continue to enable this mess. We know that banks are the primary creators of fiat money, by loaning out other people's money and only having 10% of cash on hand (at least in the US). Aren't regular people the biggest customers in the bank's ponzi scheme? In the case of the US, money is initially created through the FED. The government sells bonds to the FED, the money to pay for it is created to do so, it does not exist beforehand. The much wider issue that propels the inflation forward are actually the retail banks, not that they are necessarily to blame, they of course operate within the parameters they are allowed to. You pay company X $1mil to build a house in cash. X deposits that money into bank A to pay its employers. 10% of the cash is held as reserve, the rest is loaned out. A worker recieves money and deposits it into bank B, with his wage he buys a new TV. 10% of the cash is held as reserve, the rest is loaned out. The TV vendor deposits his revenue in bank C, and pays his employers from there. 10% of the cash is held as reserve, the rest is loaned out. The employee of the TV vendor spends part of his wage on buying new shoes and deposits the rest into bank D. 10% of the cash is held as reserve, the rest is loaned out. Retail banks are extending the money pool, that was created out of thin air to begin with, even more every time money is deposited and then loaned out. Everybody loves the cheap, infinite money. Banks love it because they can loan out much more money than they could if they actually would have to hold 100% reserves. Businesses love it because it allows them to expand at greater scale. Private persons love it because they can afford things in the here and now instead of having to save up for it. Everybody loves fiat money until the next bust is in. Awesome man. You've done a great job in making what can be a very complex topic easy to understand for a layman such as myself. END THE FEDERAL RESERVE. THE CRYPTO AGE IS HERE! The federal reserve, it's not federal and there is no reserve. Thanks, this artical make me know this conception of one-year-delay for anticipating price rising. I am just a commen person with not much knowledge about economy. I thought moderate inflation is needed to maintain growth. At least that is what central banks are saying. Maybe all are fools. But economy is growing, maybe too quick, damaging too much the environment, the Earth. Someone once said (I forgot who) that inflation is the hidden tax that we all pay. Nice read. Thx. Rightfully so. Important to note that it is not something that is a natural thing to occur but rather imposed on the people intentionally to favor the political cast to rig democracy in their favor by allowing for extended welfare programs to gain voters support. Inflation, is an evil that can cause devastating effects in a country, to ruin it, I will comment what happens in my country Venezuela, annual inflation, reached a record in 2018, to overcome this, in more than one million. Percent, the price of articles increases disproportionately, in a matter of minutes, there is no control that allows these increases to slow down, the people who have the money must go to collect the things they need and those that do not need them. To avoid devaluing the money, only this week the price of the dollar with respect to the Bolívar increased by more than 100%, finally, it is a desperate situation, caused by the bad economic policies of the so - called socialism of. the 21st century. Un buen post en mi pais la inflacion cada dia sube mas y mas en niveles que nunca imagine que en un pais tan rico hubiese tanta inflacion, ese pais es mi querida Venezuela. In economics, inflation is a sustained increase in the general price level of goods and services in an economy over a period of time. More accurately, rising price levels are the effect of expanding the money supply. I do, but numbers change depending on when votes are casted. If you buy votes all at once, that may happen. Un post muy bueno, esto deberia ser leido por cada ciudadano de mi pais Venezuela. Thanks for the information, it is very clear and precise about what inflation is and the causes of this. We, in Venezuela, suffer an atrocious inflation, which is destroying us and is leading us to ruin, daily inflation in my country exceeds 4%, more than 100% per month and more than one million per year. Excellent article. We need an economy based on awarding producers and not fraudsters and speculators. This post has received a 27.76 % upvote from @boomerang. Interesting topic definitely. It is very true that most people have no idea about inflation. We hear it all the time on the news but people do little research. Which is what banks and government like. It good to see nice content on steemit which opens a very important topic for discussion. here in Argentina the central bank sucked up a lot of bills, stepped on the price of the dollar, set an impossible interest rate to take a loan, etc. even so, in 2018 we had an inflation of 48 points.